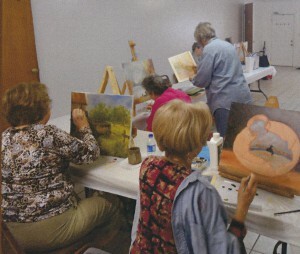 Mary Jo Haltom teaches art to those who are interested in learning how to paint on canvas. All those in the church and community are welcome to attend at no charge. Come and join us and Mary Jo will inform you of the art supplies you will need.